Illustrator Steven Kellogg is a former resident of Newtown, Conn., the community forever linked with the 2012 school shooting. Grownups should recognize what's behind his colorful and gentle celebration of seasonal renewal. 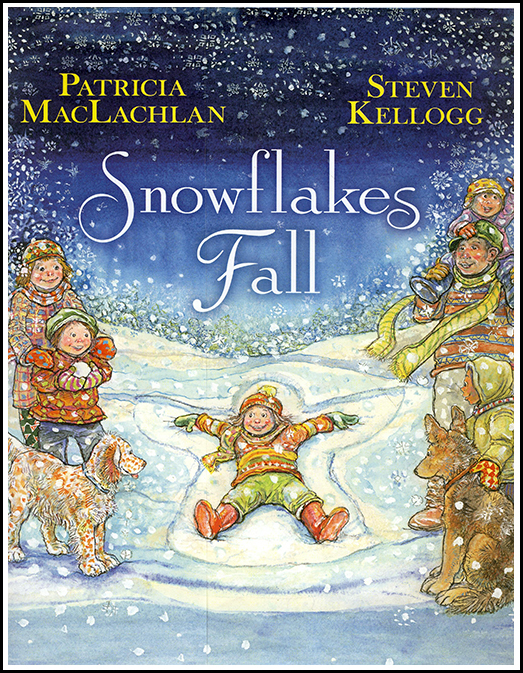 With simple poetic text by Patricia MacLachlan, the book pictures how snowflakes, snowmen and fields of snow angels all inevitably melt in the spring, when flowers bloom. It notes: "The children remember the snowflakes. And we remember the children – No two the same – All beautiful." View the Snowflakes Fall book trailer below. View what 'Teachers' Picks' has to say...Click Here!